Dutchess Outreach exists to widen food access, increase advocacy, and provide emergency relief by offering a range of vital services for those in need while working to uncover a deeper understanding of the social ills our community faces in order to create innovative, locally-minded solutions to achieve a healthier, more vibrant and sustainable community. 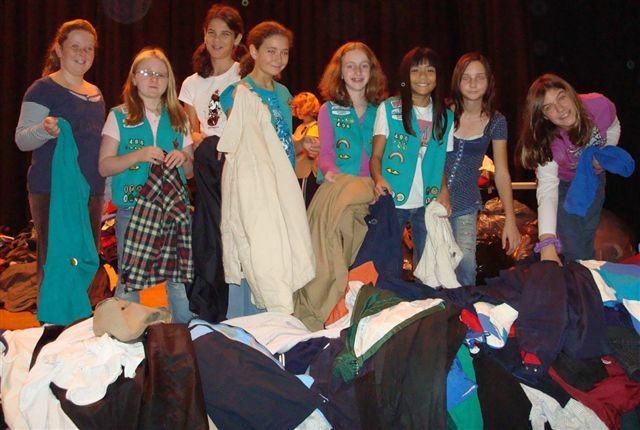 For over 40 years Dutchess Outreach has helped thousands of women, men, and children throughout Dutchess County. Through our food pantry we provide food to families whose cupboards are bare, our clothing closet provides lightly used clothes for children, our emergency relief programming ensures our clients can afford their medicine when they’re sick and that their lights and heat remain on, our community meal program, The Lunch Box, serves free, hot lunch and dinner meals to anyone who needs and provides a safe space for the community to gather, and our newest program, the Poughkeepsie Plenty Fresh Market, provides our community access to affordable, fresh, locally farmed foods. This year we have a unique opportunity to expand our farming production in our new farm located right in the center of the City of Poughkeepsie. Through this initiative, we seek to widen access to more nutritious foods, lower the instance of food insecurity, and increase the overall health and vitality of our community by creating a path toward a more local, sustainable, and equitable food system. We envision offering a community cure through the distribution of fresh, nutritionally dense foods and education on the importance of eating locally farmed foods for our bodies and our environment. 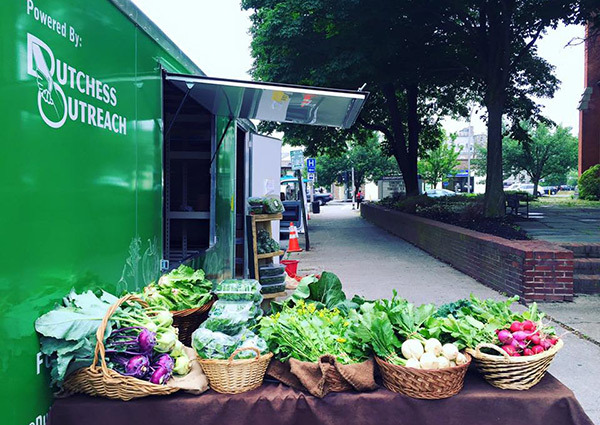 Last year alone we served more than 167,000 meals out of our food access programs and distributed more than 8,000 lbs of fresh Hudson Valley Produce at our Mobile Farmers’ Market to over 10,000 Dutchess County residents, 8.8% of whom are considered food insecure within Dutchess County. None of which would have been possible without the support and commitment of our dedicated force of volunteers. The programming we offer our community is diverse in that we cover a range of different services, however, they are all connected and equally assist us in achieving our larger mission. 1 in 7 of all US households are Food Insecure according to 2014 research by Feeding America. That’s 14% of the population. 1 in 4 households in the City of Poughkeepsie are considered Food Insecure. Around 26.8% of the City’s Population. In Dutchess County alone 26,130 individuals suffer from Food Insecurity. That’s 8.8% of the population. 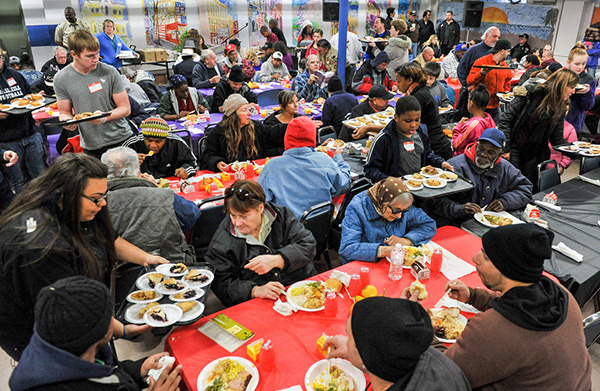 46.5 Million Americans seek help from food assistance and relief programs, like Dutchess Outreach.